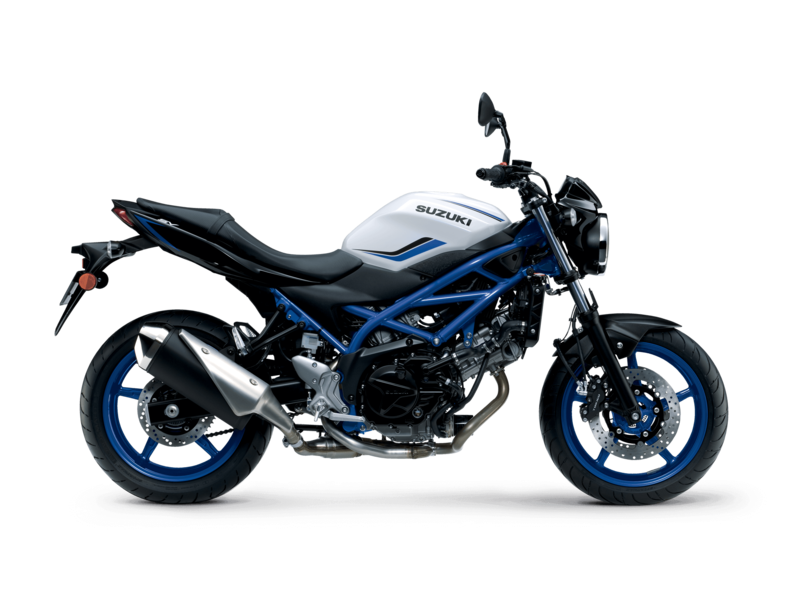 The ever-popular SV650 and café racer-inspired SV650X come in a new range of colours for 2019. Utilising a dark red trellis frame and red wheels is a new grey version of the middleweight V-twin, while an all-black model and a white and black variant will sport a blue frame and wheels. 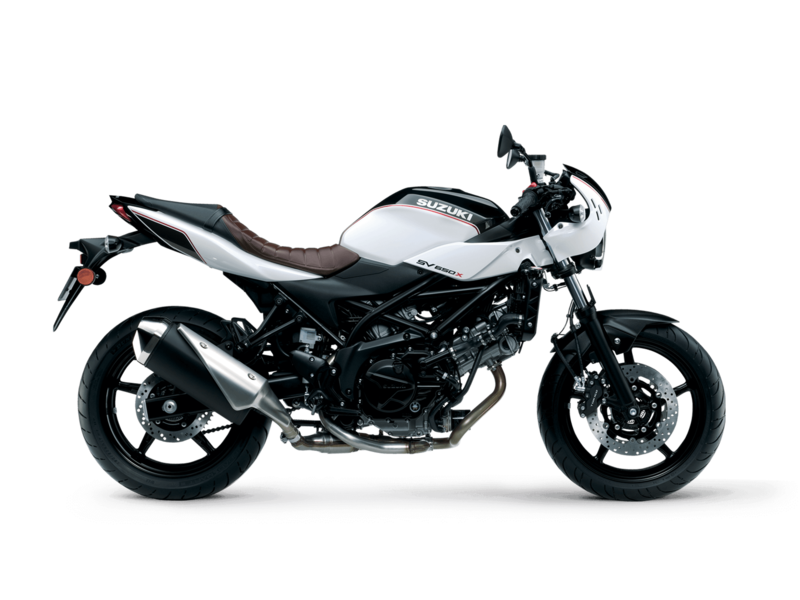 The SV650X – which gets lower clip-on handlebars for an even sportier riding position – comes with a new brown tuck-roll seat with a white and black retro livery. Both models also benefit from an upgrade to new four-piston front brake calipers in 2019.